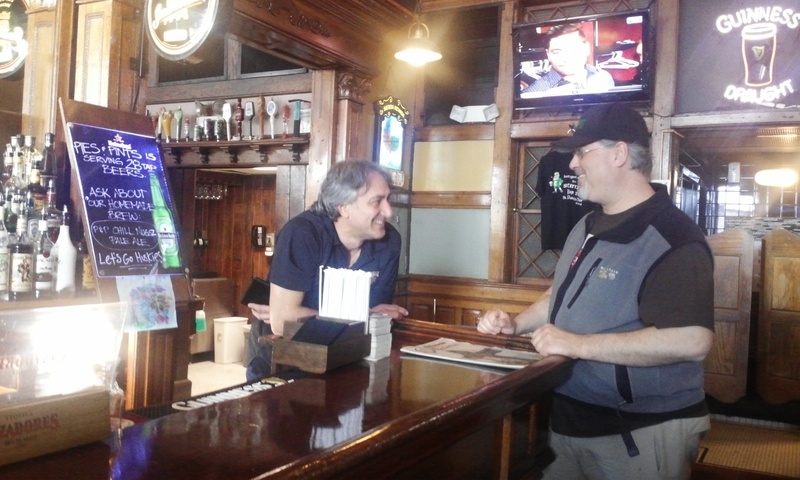 Pies & Pints owner Theo Anastasiadis, left, and head brewer John Watson at the new Pies & Pints in Waterbury. 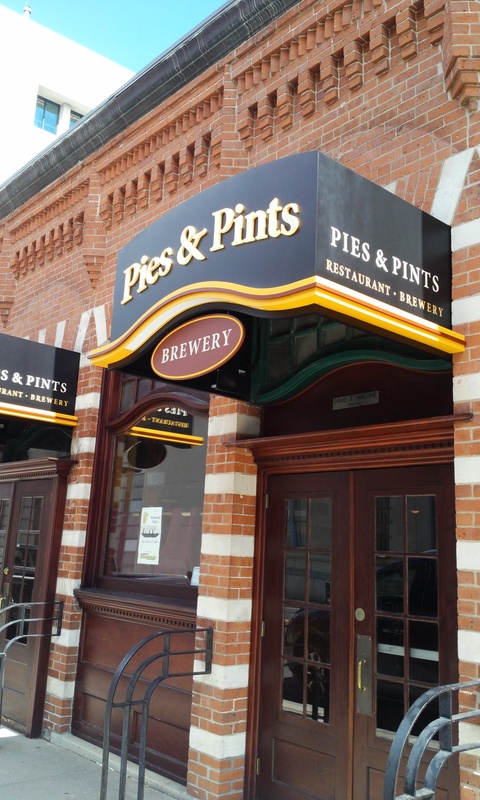 Pies & Pints, known for its diverse beer list and Greek-inspired cuisine in Middlebury, Conn., has expanded into Waterbury, and could become the state’s latest brewpub by September. It is serving its own beer, an American pale ale called Chill Nuggz. Created by head brewer John Watson, the beer was brewed at Cavalry Brewing in Oxford, according to the brewer. I grabbed some lunch and drank a few pints with Watson and owner Theo Anastasiadis today, and we talked about their plans for Pies & Pints. Anastasiadis has renovated the restaurant, most recently Dreschers, at 25 Leavenworth St., making it brighter, but keeping much of the look the same. He’s waiting on proper licenses to be able to brew beer on the premises. For more about the opening, read this Republican-American article. 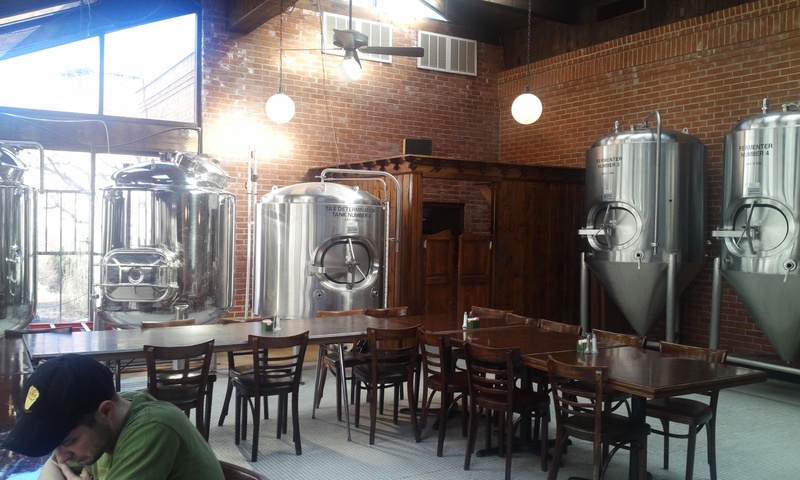 The brewing system at Pies & Pints in Waterbury, which is yet to be set up. Watson is a long-time homebrewer with credits at other local professional breweries, including the former Hammer & Nail Brewery in Watertown, the former Colorado Brewery and Trading Company in Danbury, and the very-much-existing Willimantic Brewing Company. I’m working on a full column, but get on over to Waterbury to check out the beer yourself. They have a nice draft list, which today included Founders Breakfast Stout and Ommegang’s Game of Thrones Fire and Blood. Pies & Pints of Waterbury, Conn.